SPAIN. Fernando & Isabel. 1474-1510. One Real. Toledo. Lovely strike. PCW-W1039-SPAIN. Fernando & Isabel. 1474-1510. One Real (3.44 gm; 26 mm). Toledo. Lovely strike on a nice full flan. Choice Superb "Almost as Struck". Great example for the issue. SPAIN. 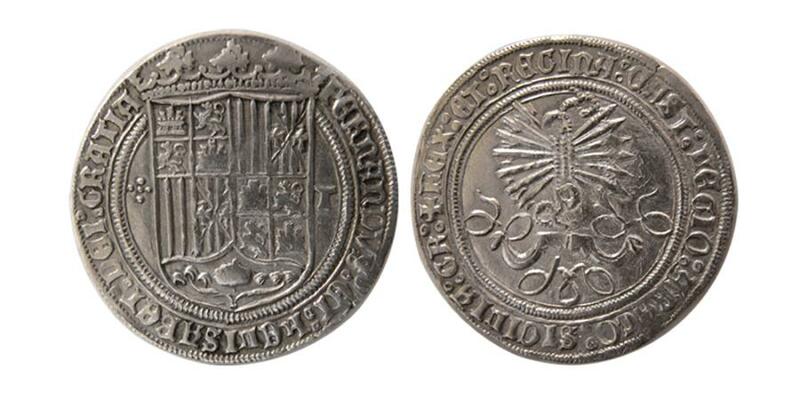 1590-S. Gold 1 Escudo. Seville Mint. NGC-XF 45. Lovely strike. SPANISH COLONIAL. Mexico. Philip II. 1556-1598. MOF. AR 8 Reales. NGC-AU Details (Cleaned). SPAIN. Carlos IV. 1788-1808. Gold 1/2 Escudo. 1788-M, Madrid. ANACS-AU 55. SPAIN. 1682. Potosi AR 1 Real. dated 1682.